Clean Room Equipment – Clean Rooms International, Inc. 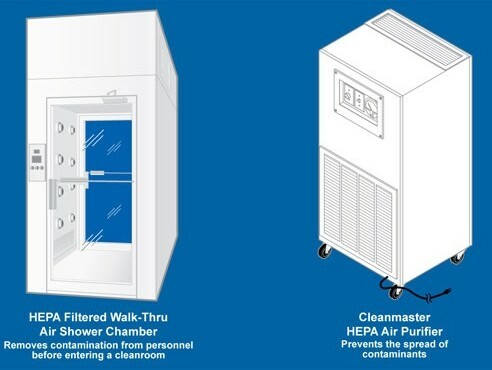 Since keeping a sterile and sanitary environment is essential to many clean room applications, clean room equipment must be manufactured from easy-to-clean materials such as stainless steel, polycarbonate, or plastic laminates. Clean room equipment manufacturers serve a broad spectrum of industries, the most common of which includes the pharmaceutical, biotech, medical device, microelectronics, and nanotechnology industries as well as many hospitals and research laboratories. Clean rooms often incorporate parts and components such as storage cabinets, ergonomic workstations, carts, ducting, benches, shelving, and trolleys, which are all considered clean room equipment. 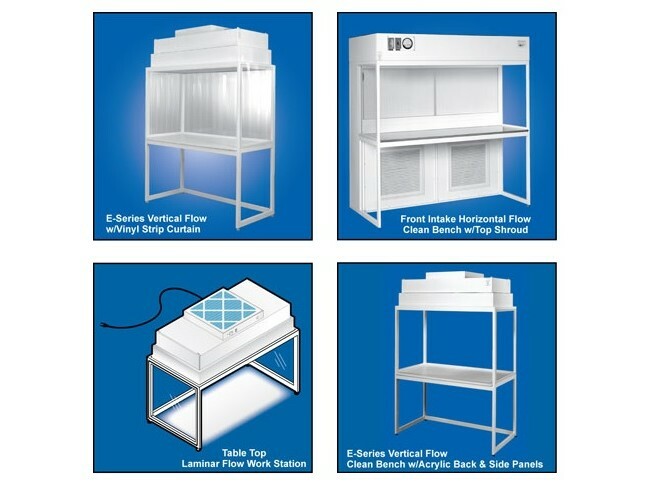 Isolation systems and industry or application-specific machines and equipment also fall under this category, as well as many other items such as clean room gloves, fume hoods, garment cabinets, garbing stations, and more. In addition to the previously mentioned equipment, every clean room has handheld or built-in sensors that monitor the room’s particle density, making sure it is at the appropriate level. The class of clean room will determine what the appropriate particle density should be; these classes range from Class 100 to Class 10,000 and even higher. Some examples of clean room equipment are air shower systems, which are located at the entrance and remove particles and dirt as people enter or move around the clean room, and sticky mats, which use adhesive film to clean shoes before they enter. Additionally, individuals working in clean rooms also have special outfits called bunny suits, shoes, and mouth coverings that are worn in the rooms at all times. >Clean Room Equipment >Clean room equipment includes all movable items that are not part of the walls or panels, though most parts of modular and portable clean rooms can be considered clean room equipment. As a result of the broad description, clean room equipment can encompass a wide range of parts and products.